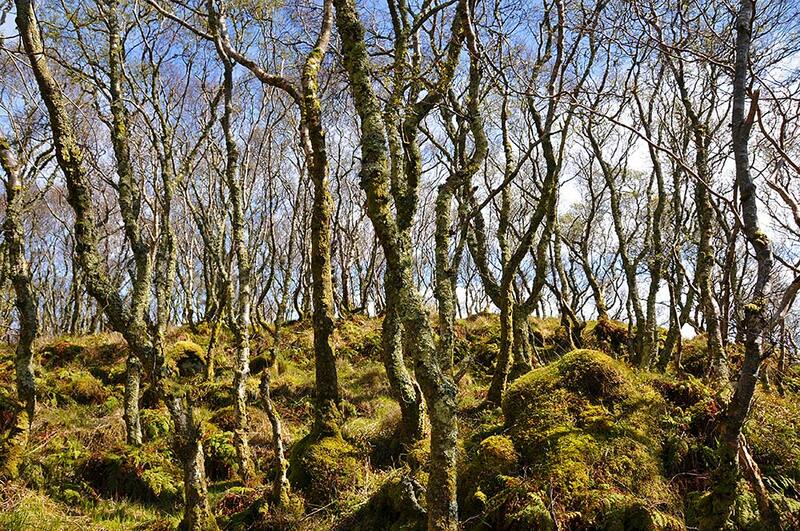 A view from a walk along the south coast of Islay around Ardilistry, where many parts of the shore are populated with these dense ancient woods, covered with lichen and mosses. This entry was posted in Landscape, Repost, Sunny Weather and tagged Ardilistry, Islay, Southern Skerries by Armin Grewe. Bookmark the permalink.